This was one of the most memorable experiences of our trip. The guides were friendly and very helpful, especially when we got off and had to hail a taxi after our rickshaw ride. The ride felt more than thirty minutes as we did not feel rushed. Many photo opportunities. 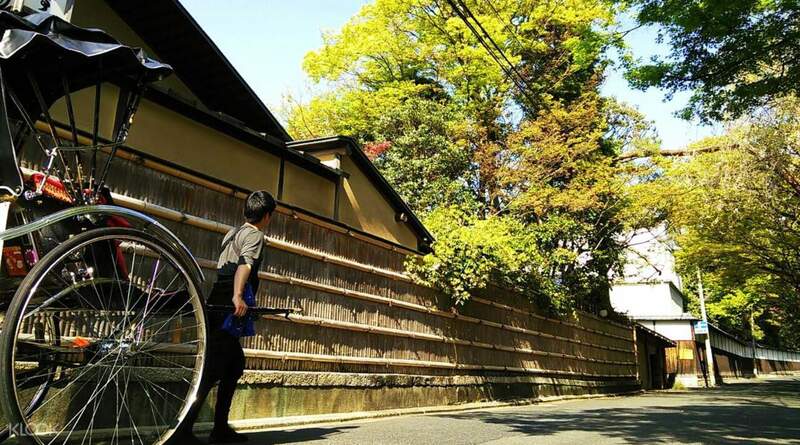 Kyoto is wonderful! 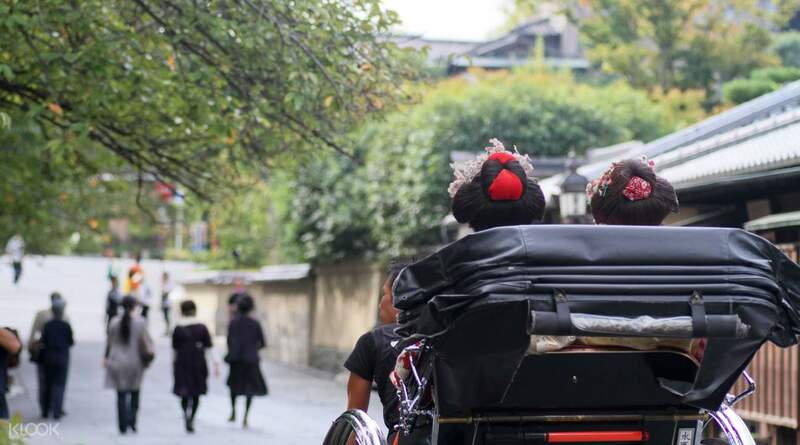 Rest your legs and feet and let the vibes of Kyoto's best-preserved district, Higashiyama, wash over you while enjoying the sights of the historic streets and townhouses from the comfort of your rickshaw. 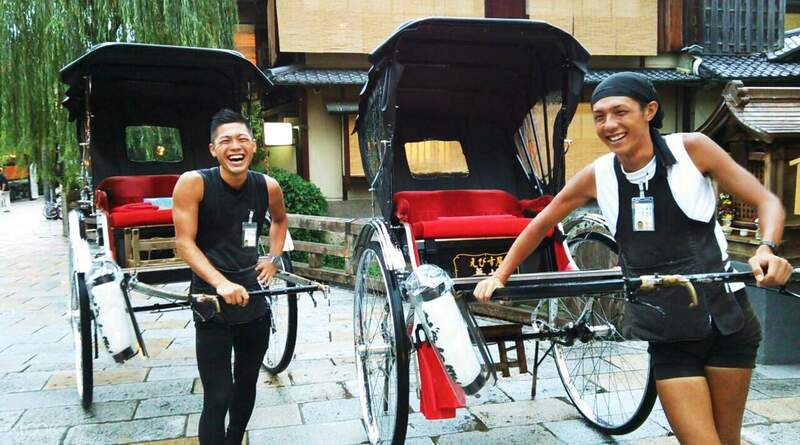 Let your guide take charge of the excursion as you and your companion dive into an informative and fun tour of Japanese ancient religions, visiting the historic temples and shrines or enjoying the atmosphere of the traditional district from the noble perch of a regal rickshaw. 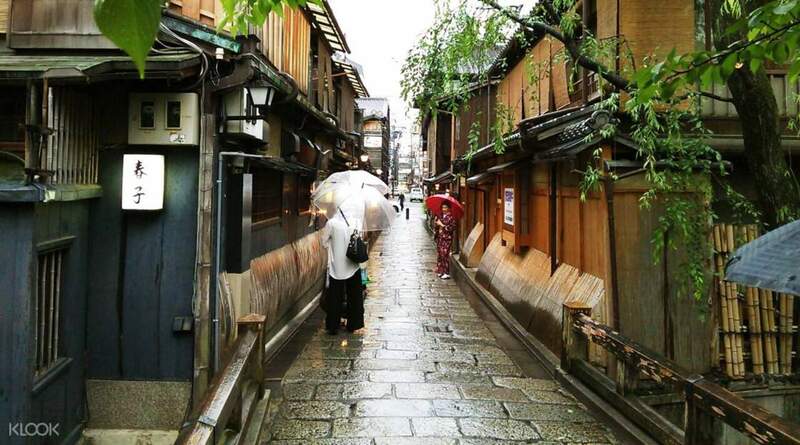 If you get lucky, you might even catch a glimpse of a beautiful geisha in Gion! 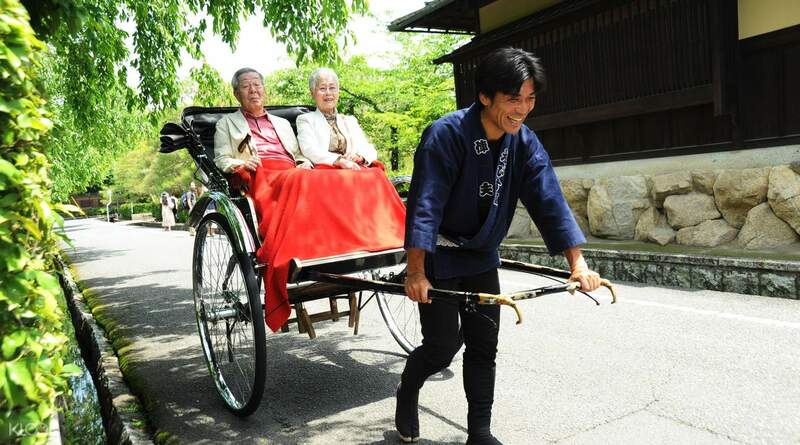 Riding through the narrow streets, along the wooden houses and traditional shops of old Kyoto, the rickshaw rides are a perfect way to tour the majesty of Higashiyama whilst also treating a loved one in style. This was one of the most memorable experiences of our trip. The guides were friendly and very helpful, especially when we got off and had to hail a taxi after our rickshaw ride. The ride felt more than thirty minutes as we did not feel rushed. Many photo opportunities. Kyoto is wonderful! This was one of the most memorable experiences of our trip. The guides were friendly and very helpful, especially when we got off and had to hail a taxi after our rickshaw ride. The ride felt more than thirty minutes as we did not feel rushed. Many photo opportunities. Kyoto is wonderful! Our guide was amazing. :) It was a very very pleasant trip with him. We wanted to tip him in the end to say thank you; however he refused the tip and said that "this is not part of the culture." Our guide was amazing. :) It was a very very pleasant trip with him. We wanted to tip him in the end to say thank you; however he refused the tip and said that "this is not part of the culture." The driver was very patient; even though we were late, he still provide us with the full 1 hr of travel. The driver was very patient; even though we were late, he still provide us with the full 1 hr of travel.